This gotta be one of the most exquisite blogger workshop I've ever attended. 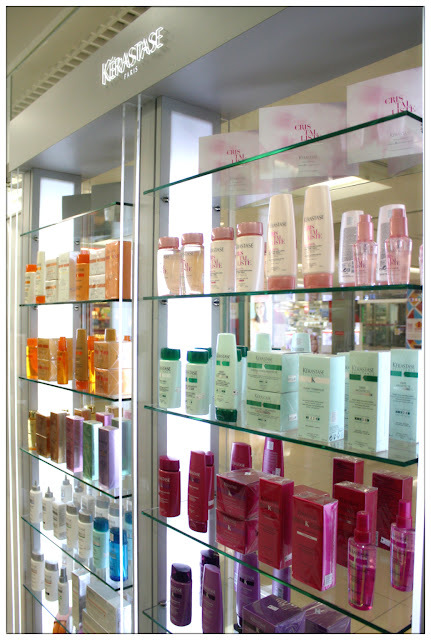 Kérastase, many have heard and testified this number one luxurious hair care products. I'm feeling lucky for getting the chance to try on their newly launched scalp and hair serum - Initialiste. Kérastase Initialiste, this is gonna be a great experience. Products from Kérastase, cater for each needs. 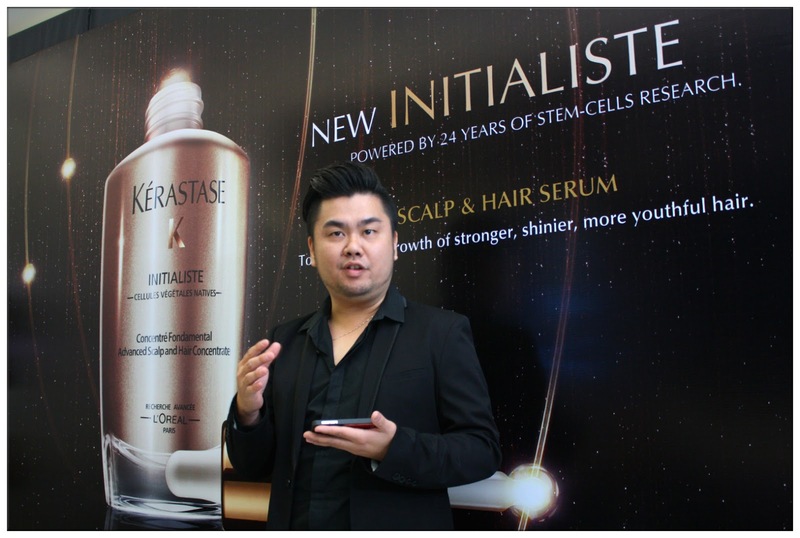 Thanks for the Tammy's introduction, I get to join the blogger workshop which introduces Kérastase latest scalp and hair serum - Initialiste which by that time, just newly launched in the market. 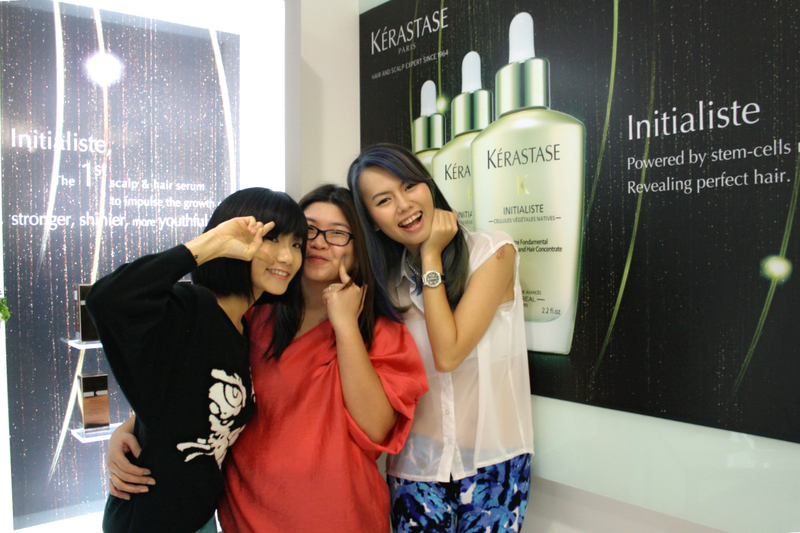 The blogger workshop were held at a all-white classy hair salon called Razor Edge at One Utama, Old Wing and we're the very first batch of bloggers who gets to try on the no.1 serum and it was truly an amazing experience. 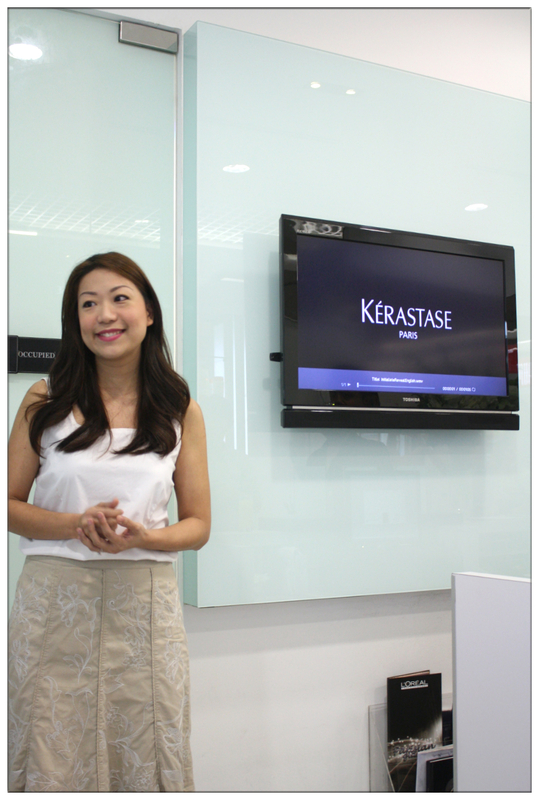 Nicole introducing the Kérastase Initialiste through the video. A welcome speech by the owner of Razor Edge hair salon. Right after that, we're being lead into a private room, a room that prepares for the 4 of us to enjoy the experience of Kérastase Initialiste. We found our name on a hand-written card and seated accordingly on the comfy salon sofa, with flowers and towel specially prepared for us. 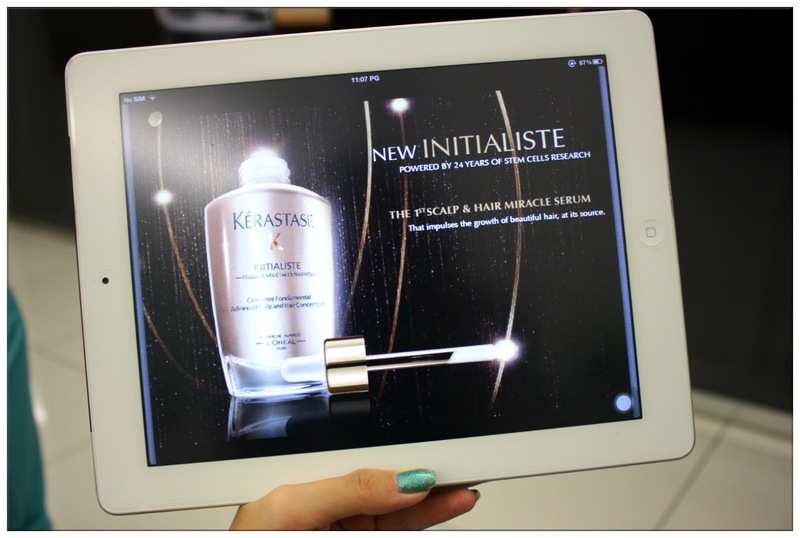 The product introduction will be done by viewing slides using an iPad! Swift! Clean, simple and comfortable, me likey! What a tasteful decoration by Kérastase. I wonder is this how French do it. 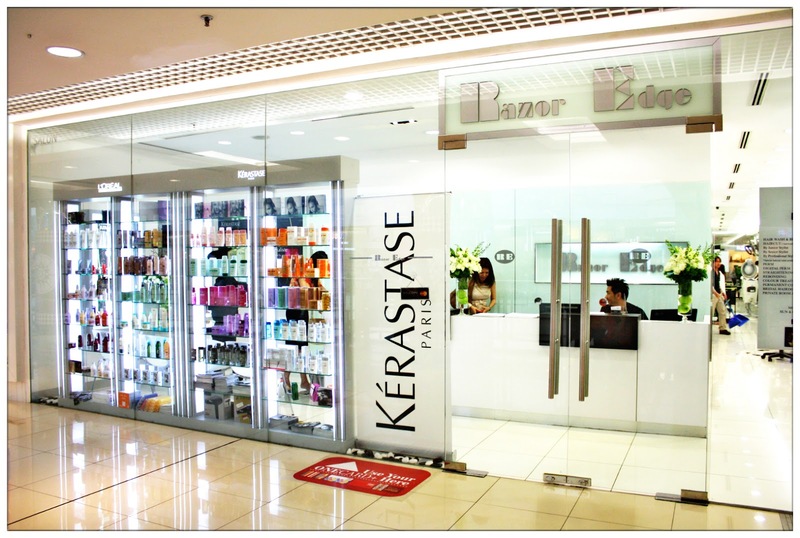 Kérastase, established in year 1964 in France, the brand has never stop doing research in advancing their technology of hair care. Initialiste is the result of a 24 years stem cells research that has been done by Kérastase. Initialiste - The 1st scalp and hair miracle serum. 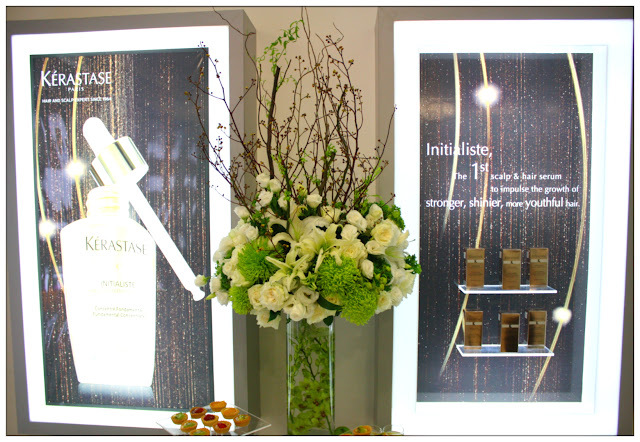 Yes, Initialiste is the very first skincare-inspired scalp and hair serum that's been launch to the market in April. People realised that stem cells boosts our cells regeneration in a faster speed, that's why stem cells used in skincare for skin repair isn't something new in the skincare industry, but none has thought of the stem cells in scalp and hair care serum, and Kérastase has spent 24 years of doing research and finally developed Initialiste as the FIRST and number 1 hair care serum in this industry, the brand is truly a pioneer in the field of hair care. Kérastase Product Educator - Anderson, briefly go through with us the story of Initialiste and the product's information. Besides product information, Anderson taught us how to use the product. It is easy as 1-2-3 that one can just apply the product by themselves at home. This super serum contributes the 4 attributes of total hair beauty: Strength, Shine, Softness and Substance. These are the results that everyone is seeking for whenever they apply haircare products, and just by 7 days of usage, visible result of hair transformed can be felt. The ingredients of Initialiste is the stem cells of plant such as green apple to nourishes and regenerate the stem cells of our hair so that it'll replenishes the growth of it. The serum is light and smells refreshing too, just like green apple. The purpose of the workshop is to let us witness the effectiveness of Initialiste even just one time application. After viewed the slides and listened to Anderson's explanation, I really can't wait to see what the super serum can do to my hair. I really, really hope it can save my hair. Here comes the moment that I've been waiting for. My hair, before wash and before applying Initialiste. On the side note, hair wash and hair treatment masque were using Kérastase's as well, from the Elixir Ultime 24-Carat regimen. 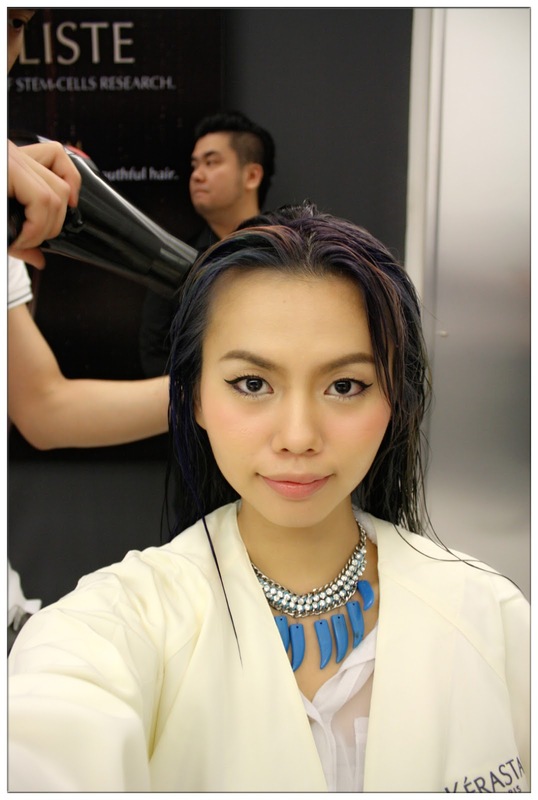 I enjoyed the hair washing session so much, felt so pampered by the hair salon and the whole Kérastase team. Wearing a Kérastase coat, ready to experiment the all new Initialiste super serum. 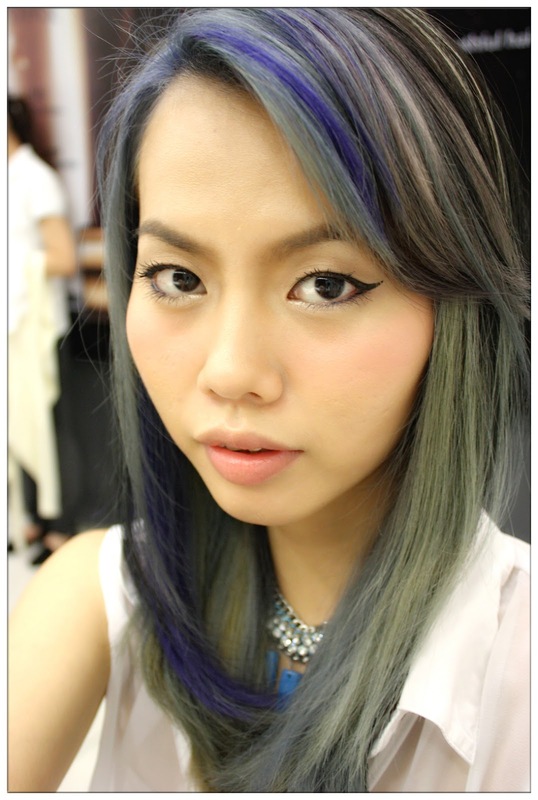 Divide your hair into sections: Fine hair - 3 sections and mine, which have slightly thicker hair, 4 to 5 sections. 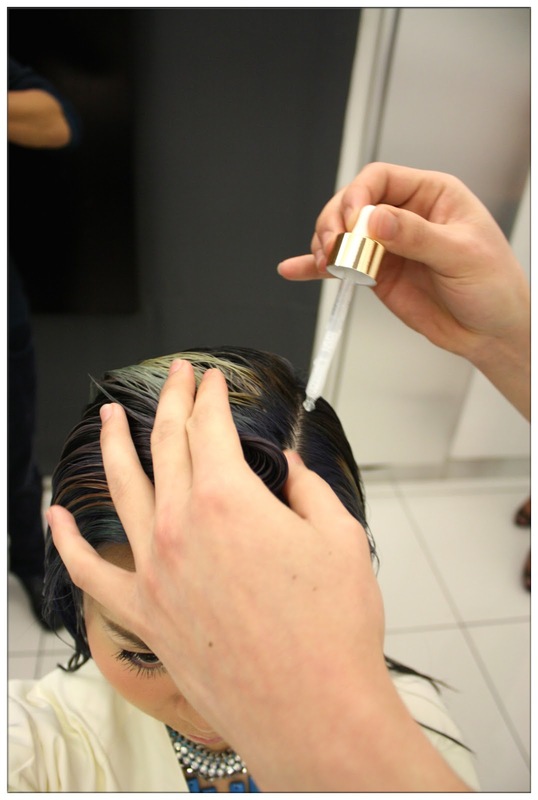 Apply one full pipette of Initialiste hair serum onto the scalp. You hear me right, the serum isn't for your hair, but for the hair roots and scalp, the core for hair growth, and where the stem cells are located. Apply one full pipette of serum throughout the line of the section. 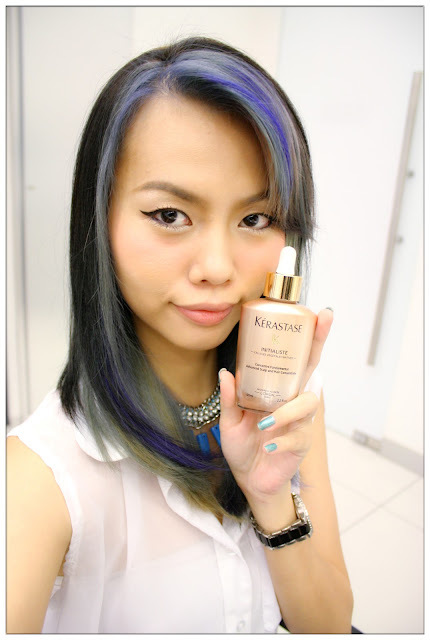 Once done applying, massage the entire head to distribute the serum entirely and voila, done! See, like I mentioned before, it is easy as 1 2 3! 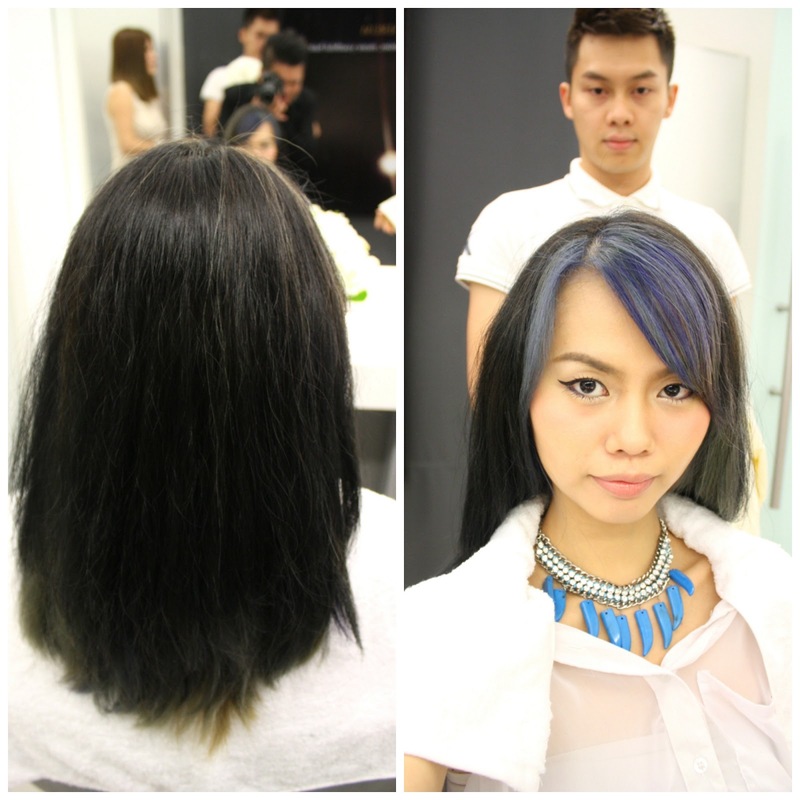 Wanna see the result with just the first time application? Blow dry my hair first! Haha. Tadaaa~! My hair after applying Kérastase Initialiste for the first time. 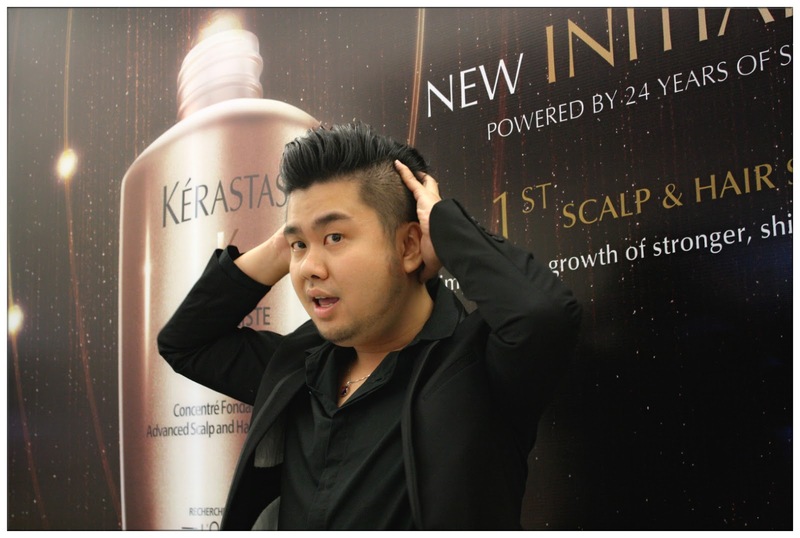 Kèrastase Initialiste is the only product they applied onto my hair scalp after wash. I am amazed by the result because my hair became smoothen, strengthen and volumized with just the first application. Initialiste strengthen the hair from the roots, throughout the whole application and blow dry process, only a few strands of hair dropped that's all. My hair is soft eventhough not applying any leave-on moisturiser, that is what truly made me believe that Initialiste is THE product for my hair, the solution and answer for hair beauty. Kérastase Initialiste, my number 1 super serum I would say! 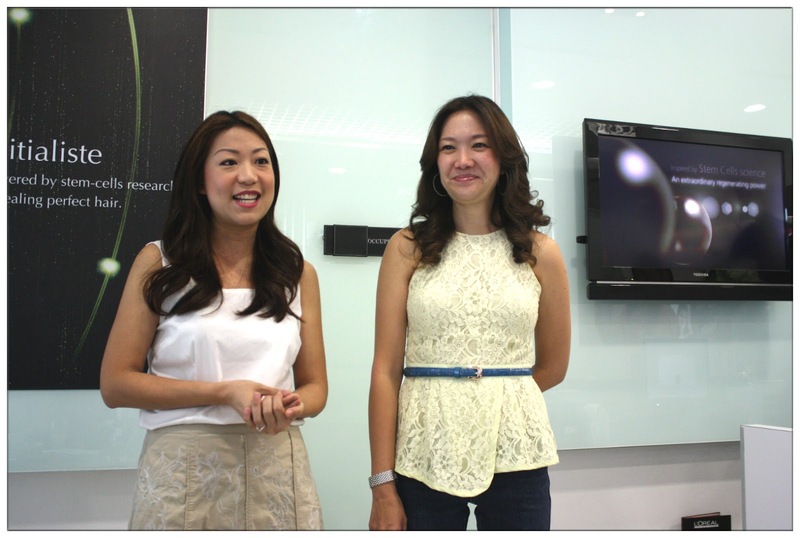 Zheng Norah, Tammy and Lisa enjoyed the workshop as much as I did! Yes, we saw that too! 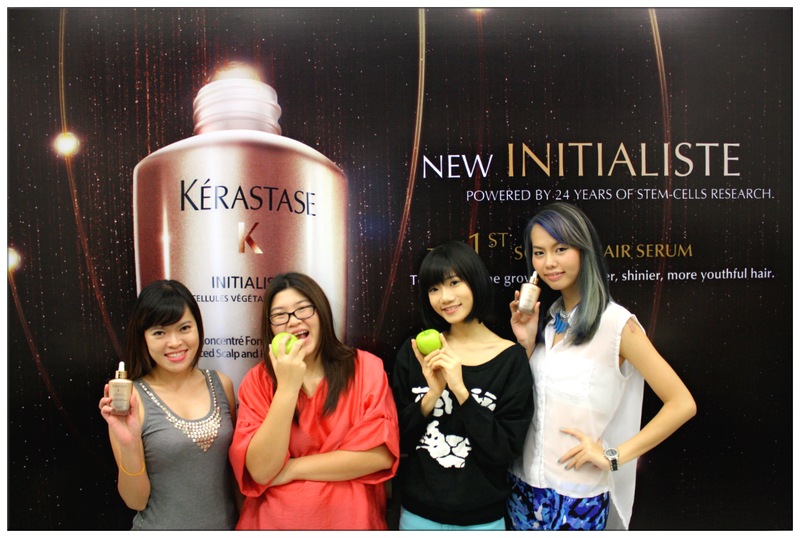 I enjoyed this blogger workshop so much, thanks to Kérastase Malaysia team and Razor Edge Hair Salon. Of course, thanks to Tammy who invited me over to take part in this luxurious haircare experience. We're all set to go shopping and a girls day out with our beautiful-looking hair! 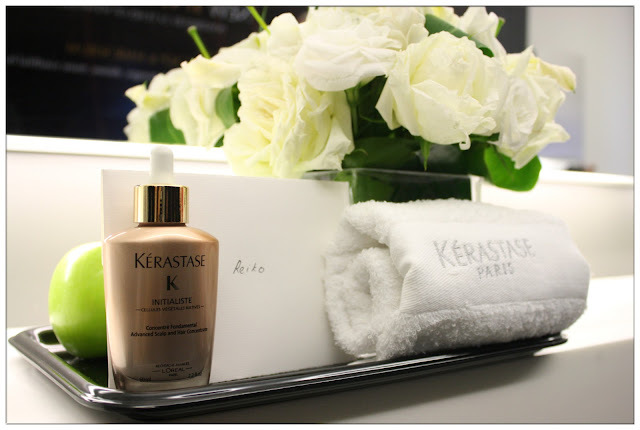 Kérastase Initialiste 60ml selling at RM180, you can get it at any Kérastase partnership hair salon throughout Malaysia. 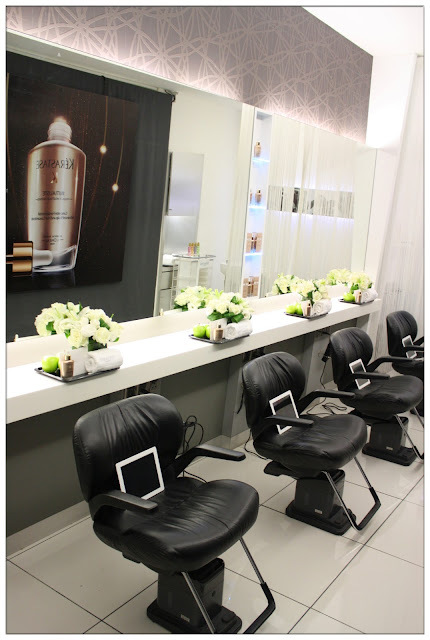 (Find all the salons near you here!). Check out Kérastase Malaysia Facebook for more information on Initialiste and other Kérastase hair products that suits your needs.